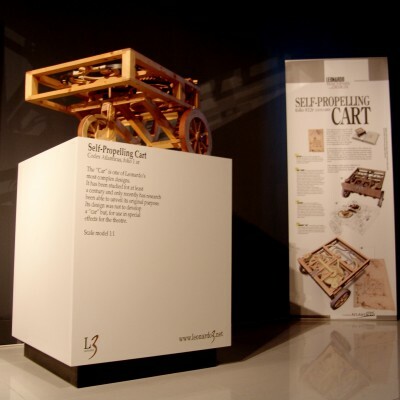 For the first time in history, this exhibition, designed and produced by Leonardo3, makes Leonardo da Vinci's Codex Atlanticus (dedicated to machines and engineering) and Codex on Flight (dedicated to flying) accessible to the public. 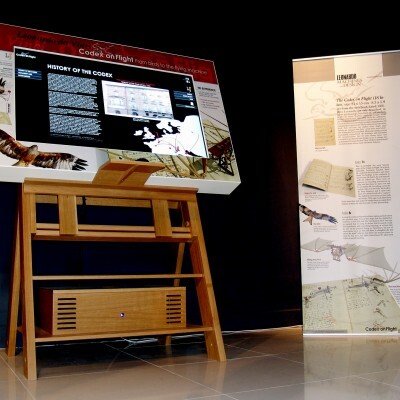 Using state of the art technologies, the original manuscripts have been transformed in interactive books in which all the drawings come "to life" thanks to 3D models. 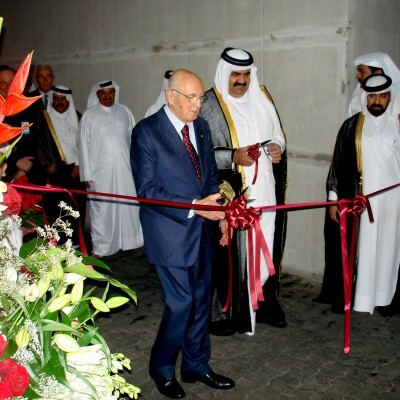 The opening of the exhibition in Doha, Qatar, was attended by the President of the Italy, Mr. Giorgio Napolitano, with the Minister of Commercial Trade, Ms. Emma Bonino, and the Emir and Sheikka of Qatar. 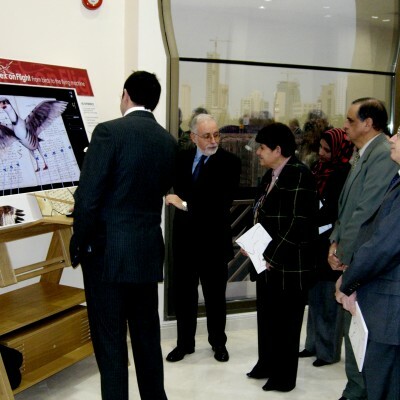 The exhibition has been financed by the Italian Trade Commission under the wings of the Ministry of Commercial Trade and Ministry of Foreign Affairs. It is a travelling exhibition and after Qatar and Kuwait will travel in other countries of the Gulf. Engineering is one of the fields in which Leonardo expressed his ideas best. He laid down the basis for a new way of designing and invented what is now taught in schools as "Technical drawing". He gave us a lot to admire: views in plan, exploded views, perspectives and working drawings, all so beautiful and fascinating that we forget we are looking at a technical subject. Leonardo is an inimitable "scientific artist" inimitable and may be considered also the first designer in history. He also tried hard to understand how to build a machine that would enable man to fly. Before Leonardo, flight was the stuff of legend and no one had studied it seriously. But Leonardo wrote an entire notebook and many notes about the flight of birds, gathering information about flying with wings that beat and glide.